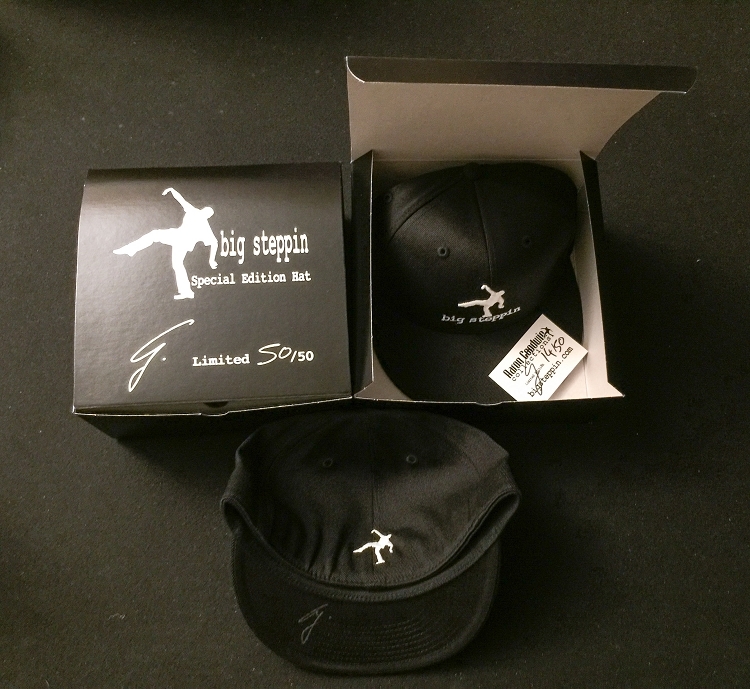 Big Steppin Fitted Hat! it is Unisex and comes in two sizes Medium and Large. All black hat with white embroidered 3D logo and big steppin words embroidered on the front. 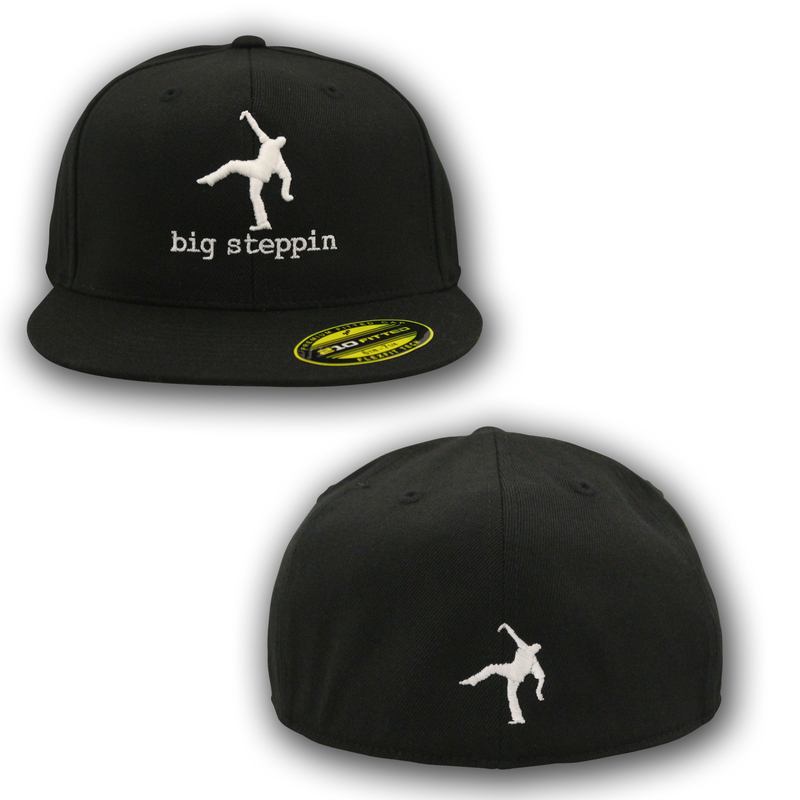 and Big Steppin logo on the back. its a structured hat with flexible fit. get one while you can!